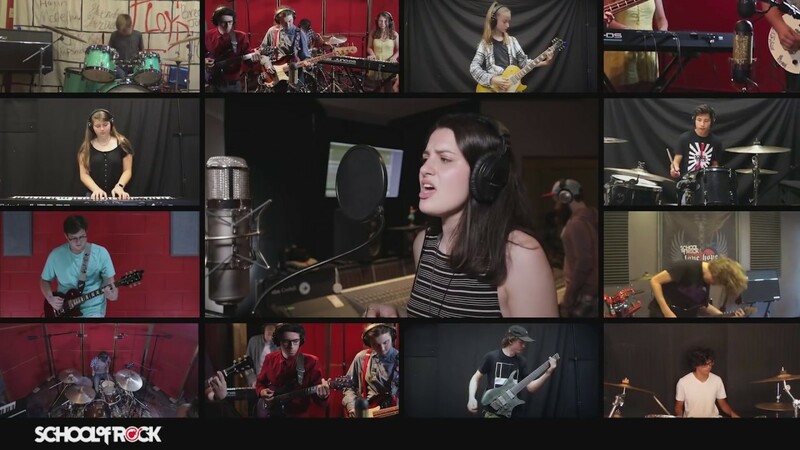 School of Rock Libertyville’s music teachers are experienced musicians devoted to helping students attain musical proficiency. 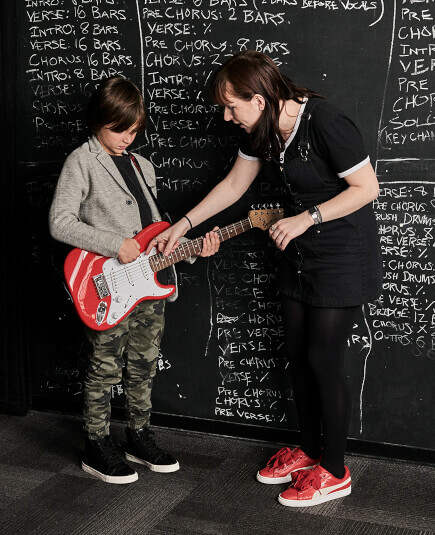 From singing to drums to guitar, our Libertyville music instructors inspire and teach students to perform live. 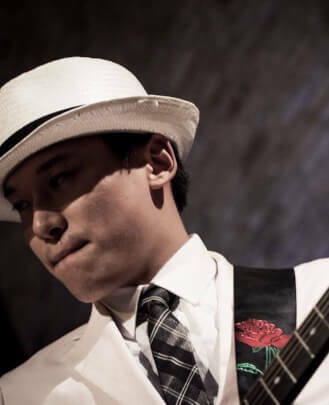 Jonathan Dawson has been obsessed with guitars since the age of 10 and also plays ukulele and electric bass. Jonathan holds a Bachelor of Music, with a focus on studio music and jazz, from the University of Miami Frost School of Music. He is a graduate of the Pittsburgh High School for the Creative and Performing Arts (CAPA). 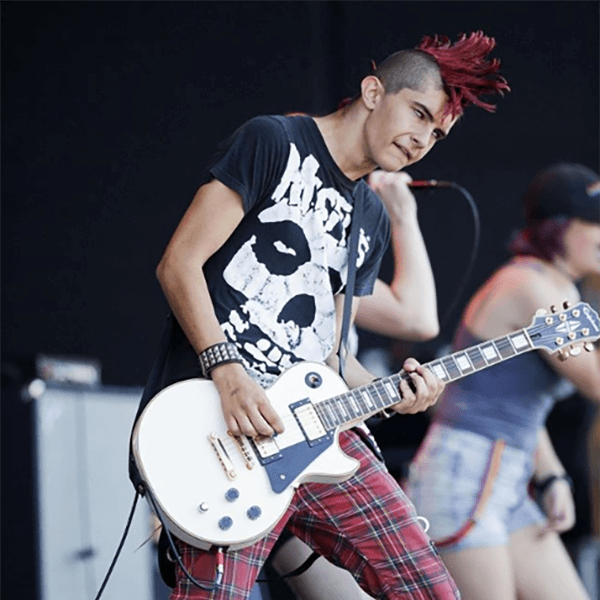 As a teen, he cut his teeth on the local metal scene in Pittsburgh, earning slots opening for Danzig, White Zombie and others too numerous to mention, while at the same time studying jazz and classical guitar. After graduating from Miami, he spent several years performing in orchestras and jazz bands for Carnival Cruise LInes. 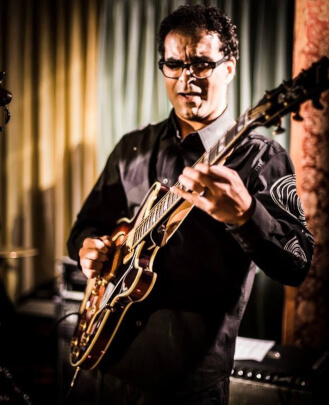 Jonathan has been a freelance guitarist and educator in the Chicagoland area since his move here in the late 90s. During that time he played in the pit band for RENT and other musical theater projects, and was a member of several jazz groups, and in the band Grasshopper (a side project with members of The Bo Deans and The Verve Pipe). Jonathan also taught and has been a board member of organizations in the city created to bring music to underserved neighborhoods. He recently performed at the All Souls Jazz Festival and has worked with Polish artist Ryszard Rynkowski. Jonathan’s album, "Life On the River’s Edge," was released in 2007. 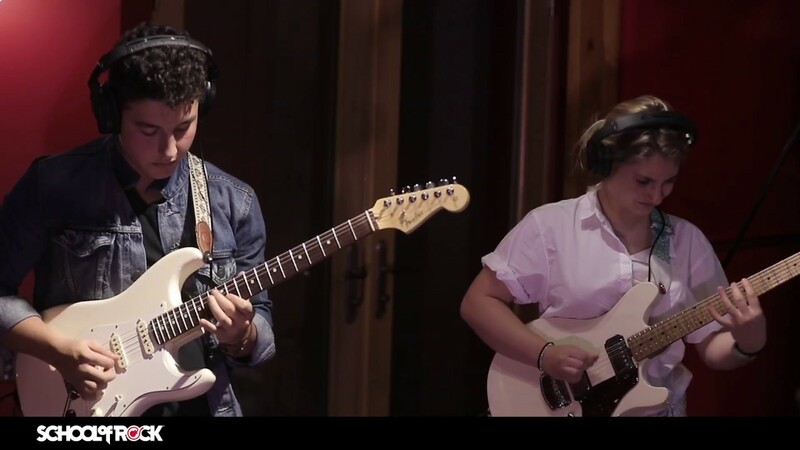 His latest projects include working with Americana artist Seeso on his latest release Kuya, and passionately teaching guitar to students of all ages. Jay Martini was a graduate of the University of Iowa in Journalism and Music. His performing experience ranges across most genres of popular music from playing classic rock to composing radio jingles. He also has arranged smooth and acid jazz, done session work and most recently is musical director of Doug James' Soundtracks Of A Generation stable of tribute acts, which include The Soul Committee (a 1960s soul/R&B revue based on the movie "The Commitments") and Have A Cigar: The Pink Floyd Experience. He is very excited to mentor young musicians as they grasp the joy of learning their instrument and performing in ensembles. Daniel has been surrounded by music since as early as he can remember. The grandson of a piano instructor, he would consistently attend his mother’s oboe concerts, further inspiring him to study piano at the early age of five with a focus on classical music. He regularly performed at recitals until his fixation with guitar began, occurring at age 15. Using the musical sense and knowledge he attained from piano, he transitioned to playing guitar and bass. 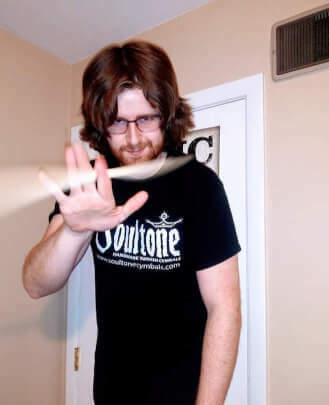 While at Michigan State University, where he received a bachelors in Humanities - Prelaw, he spent countless hours with an instrument in hand, often playing acoustic sets with a percussionist as well as offering lessons to fellow students. Since he graduated, he continues to play locally with different lineups as well as produce his own music. 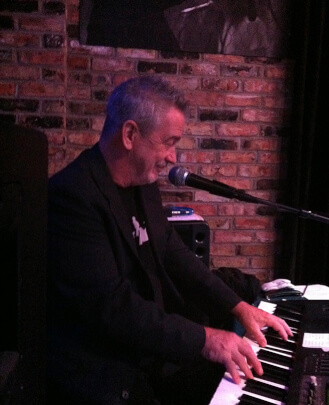 Daniel has experience with many styles of music, including classical, country, pop, blues, classic rock and jazz. 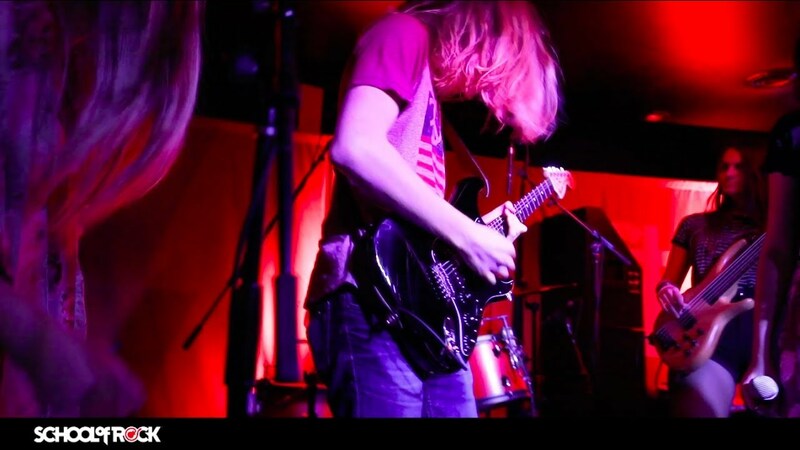 He also has significant experience with slide guitar and fingerpicking techniques and loves to share this knowledge with anyone with an interest. Born in 1960, Jay Davenport grew up on the south side of Chicago, listening to jazz, jazz-fusion and lots of 60s and 70s R&B. 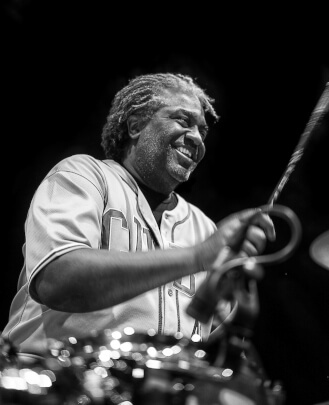 After being particularly influenced by the different styles of his favorite drummers, Art Blakey, Billy Cobham and Steve Gadd, he set out to find his own niche and develop his own sound. He started out playing locally with Chicago-style R&B, soul and fusion bands, and at age 22 began his road career, touring the U.S. with The Dells, an iconic doo-wop group. 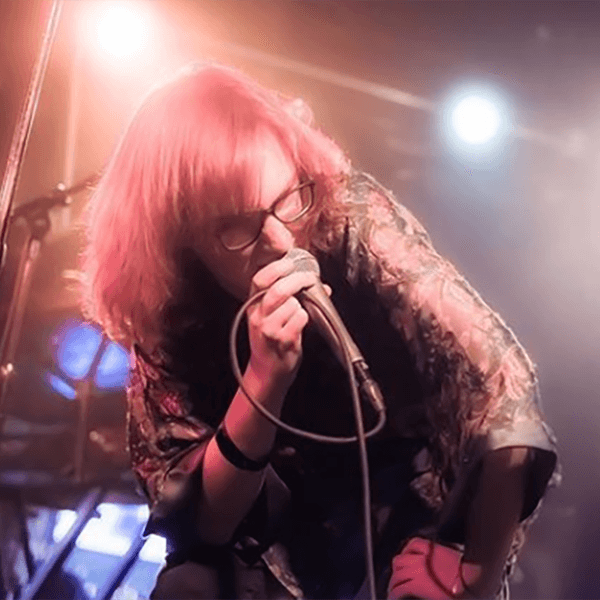 Jay started playing the blues when he was connected with blues/rock harmonica stalwart Sugar Blue, who had recently completed his performances on The Rolling Stone’s “Some Girls” album and tour, and was starting his own Chicago-based band. When John Mayall disbanded the Bluesbreakers in 2008, Jay got an audition through Mayall bassist Rzab. John invited him to come along to play drums for what was, at the time, John Mayall’s new quintet. Jay decided to resume his music career full-time, and has been touring, recording and growing as an artist with John Mayall ever since. During the past decade, Jay has manned the drums for John Mayall in the various incarnations of his band and is now a member of the current trio. 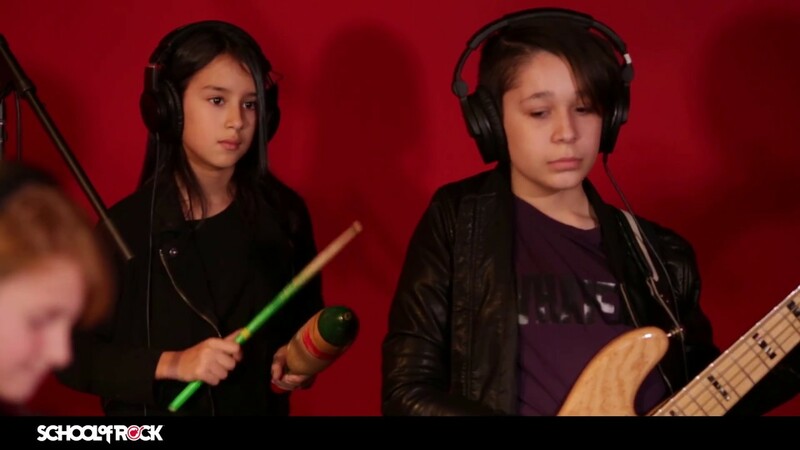 He is currently a drums teacher at School of Rock Libertyville. At six months of age, Eli was adopted from Korea. He spent most of his early life growing up in New York and Missouri and picked up his first instrument in middle school. It was an old harmonica that his mother had kept from when she was younger. After a while of practicing, or what his parents called "noise," Eli somehow got the hang of it. After this he moved on to guitar and a handful of other instruments. Eli eventually became vastly intrigued by the blues, Motown, country, rock, coul and other genres of music. He graduated with a degree in Early Childhood Education from Columbia College Chicago in 2013. Eli's spent the last decade teaching and playing music in the United States, Italy, Japan, London and other places around the world. 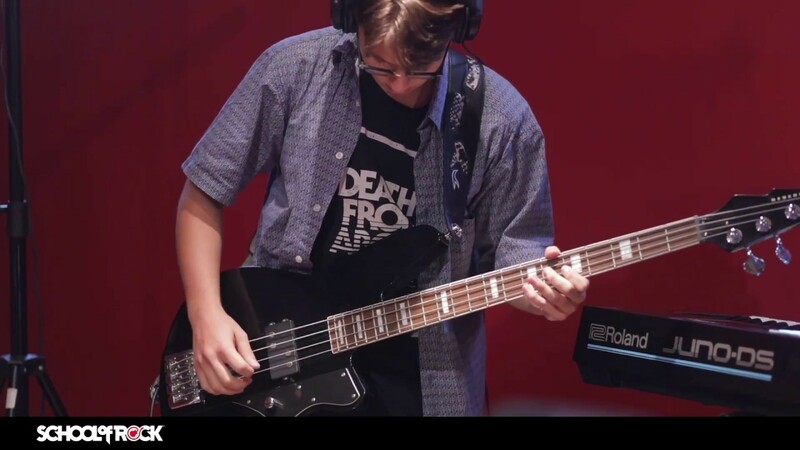 He is a guitar teacher, bass guitar teacher, piano teacher and vocal instructor at School of Rock Libertyville. Claire Bryant's got powerhouse pipes and the attitude to match. 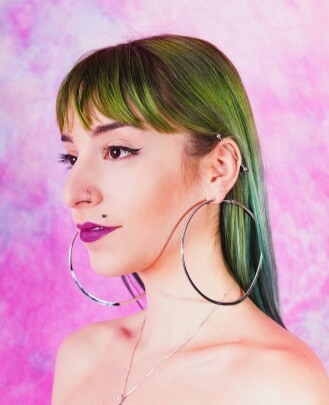 Her sounds have been compared to the popular styles of Hiatus Kaiyote and Jorja Smith. 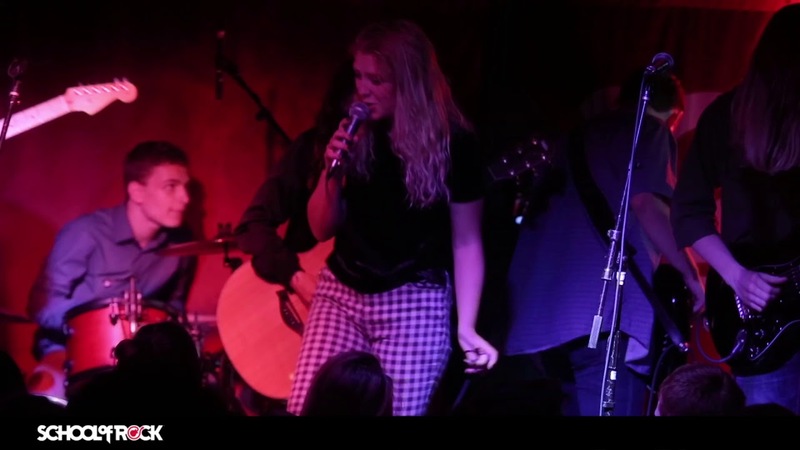 With a heavy Amy Winehouse influence, Claire's music is soulful. Claire Bryant performs with the accompaniment of her electric band, The Babes. A babe indeed, Claire Bryant sings and song writes with a unique, vibrant aesthetic. 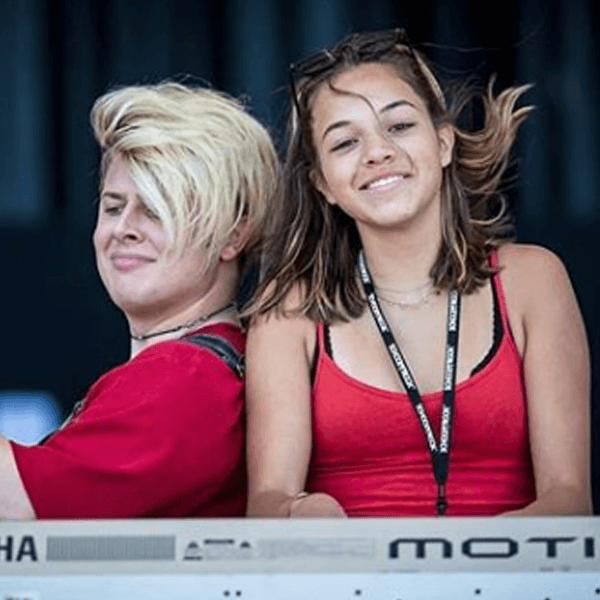 She is a vocal instructor at School of Rock Libertyville. Drum teacher Kevin Clark was introduced to acting at the age of 13, playing one of the kids, Freddy Jones, in "School of Rock" with Jack Black and Joan Cusack. Kevin was born in Highland Park, Illinois. He's been playing the drums since the age of three. He was so skilled in his performances that each one demanded a standing ovation from the audience, and he's been using his talents ever since. He formed his own rock band and performs with some of Chicagoland's best talent. He is a drum teacher at School of Rock. 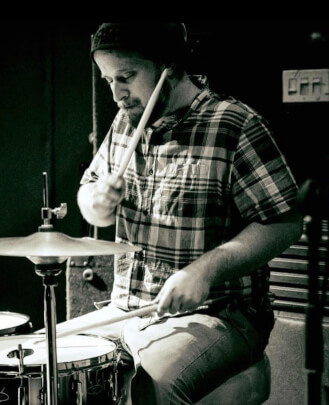 Ryan "Rocky" Johnson is a drummer and percussionist hailing from Chicago, Illinois. 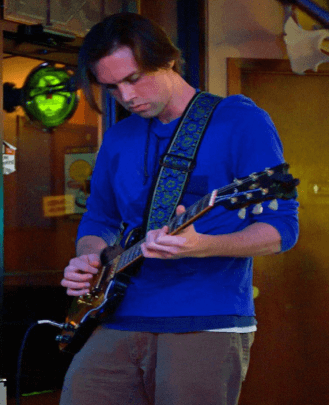 Classically trained and due to graduate from Northeastern Illinois University with a degree in Music Education, Ryan's performance resumé contains a virtual "who's who" of the rock profession. Ryan has performed with such rock icons as Geoff Tate, Robert Sarzo, Jim Peterik, founding member of Survivor, Rob Halford of Judas Priest and Halford, Sebastian Bach of Skid Row and Bjorn Englen of Yngwie Malmsteen, Quiet Riot,and Dio Disciples. Ryan's performance with Rob Halford and Judas Priest was most memorable because it was at the legendary Whisky a Go Go on the Sunset Strip in Hollywood. Ryan is currently performing in the Midwest's most accomplished Def Leppard tribute band, Photograph. Photograph has had the honor of performing with some of the top acts in the country, such as Jefferson Starship, Survivor and Gary Allan. 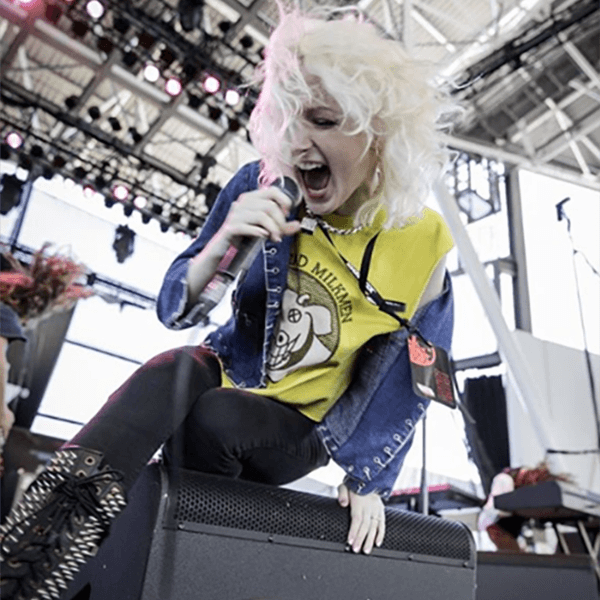 Photograph has played at some of the country's most respected and iconic rock venues such as Joe's Live Rosemont, the House of Blues Chicago, and at various clubs and festivals in the Midwest. 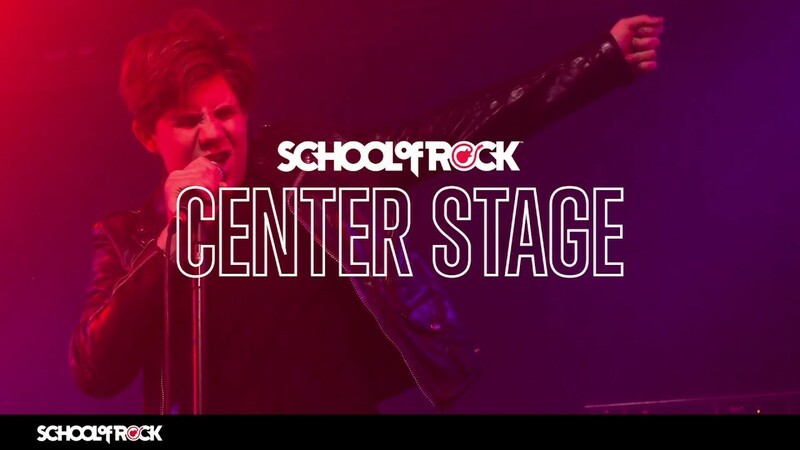 He's currently a drum teacher, piano teacher and vocal instructor at School of Rock Libertyville. Sam Gutsmiedl is from Antioch, Illinois, and he gained an interest in music as a whole from his oldest sister. At eight years his senior, she went through music programs and he got to watch her performances and be drawn into music. The drums were the loudest and most attention getting instrument that he heard and he was hooked. Sam started his journey in music in fourth grade in concert band. With every passing year, he latched on to the new opportunities he found in jazz band, where he honed his drum-set and hand percussion skills, in marching band, where he developed an inner metronome and ability to lock in with other musicians, and in pit orchestra, where he learned to put feeling into his playing based on the actions happening on stage. 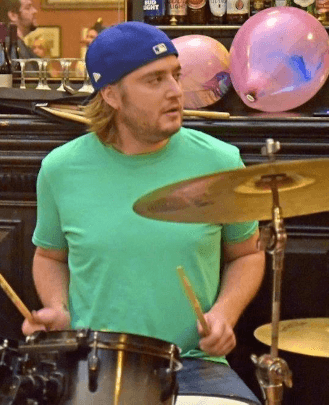 As a drum teacher, Sam hopes to inspire his students at School of Rock Libertyville to start their own bands, and explore every thing there is to know about music.